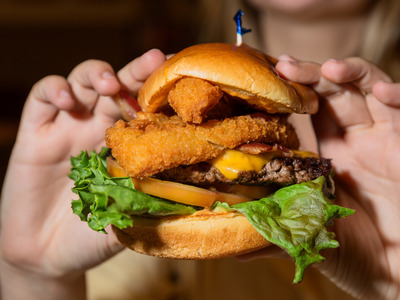 Hollis Johnson/Business InsiderIHOP’s changing its name to IHOb to promote burgers caused a stir. Applebee’s second-biggest franchisee, RMH Holdings, is claiming in a lawsuit that its parent company, Dine Brands, put its burger sales at risk by allowing sister brand IHOP to temporarily change its name to IHOb. RMH – which filed for bankruptcy in May – says that Dine Brands exacerbated “the deterioration of Applebee’s brand” with IHOP’s rebrand. Applebee’s president dismissed concerns, pointing to the fact that Applebee’s sales actually grew by 5.7% in the quarter when IHOP rebranded as IHOb. IHOb is just one of many disagreements between franchisee and franchisor as RMH and Dine Brands duke it out in court. IHOP’s short-lived name change to IHOb is getting pulled into a battle between one of Applebee’s biggest franchisees and the chain’s parent company. In May, Applebee’s second-largest franchisee, RMH Holdings, filed for bankruptcy. The road that led to the filing is a winding one, including months of negotiation and unpaid royalties and culminating in a phone call in which RMH says the CEO of Applebee’s parent company Dine Brands demanded the franchisee pay $US12 million by the end of the day. Following RMH’s bankruptcy filing, Dine Brands filed a complaint, seeking to take over more than 40 of the franchisee’s restaurants. RMH filed a counterclaim, finding fault with Dine Brands as a franchisor not only due to its management of Applebee’s, but also because of a recent ad campaign from Applebee’s sister brand, IHOP. 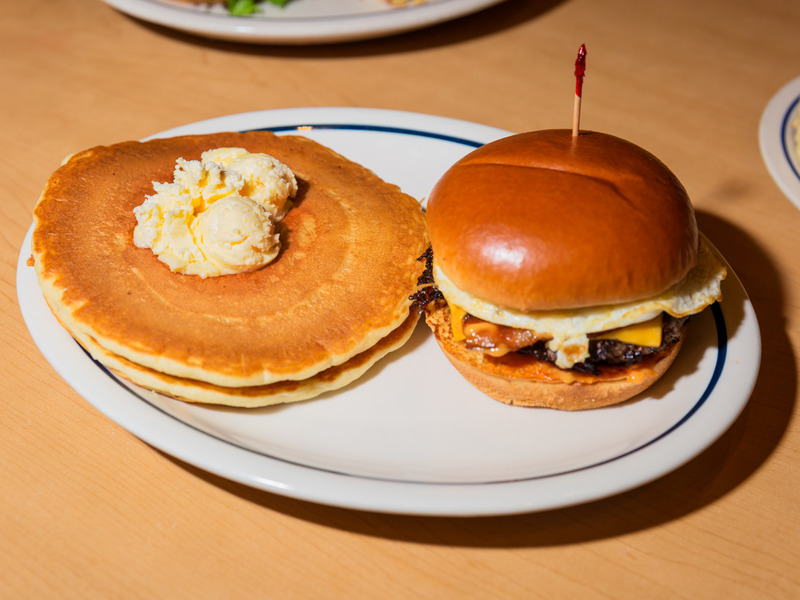 Hollis Johnson/Business InsiderOne of IHOP’s new burgers. According to RMH’s counterclaim, 16% of the franchisee’s sales are burgers. IHOP’s rebranding as IHOb threatened to cannibalise Applebee’s sales, according to RMH. In an interview about Applebee’s turnaround with Business Insider earlier this month, the chain’s president dismissed concerns that IHOP’s rebrand impacted sales. “We have fundamentally different occasions that we target,” John Cywinski said, pointing to Applebee’s comparable sales growth of 5.7% in the most recent quarter, the period the IHOb campaign took place. “From my perspective, from a Dine Brands standpoint, that’s a win-win, and not a concern at all for me or our franchisees,” Cywinski added.